Betdaq review – Betdaq are one of the most popular betting exchanges in the industry but should you use their platform in 2019? Read on to find out about the pros and cons of using Betdaq and whether you should sign up for an account in 2019. We’ve created this in-depth Betdaq review for those of you who are toying with the idea of opening a new betting exchange account in 2019. If you’re stuck choosing between the most popular betting exchanges, this review, along with our other betting exchange reviews will help you make up your mind. We’ve gathered our knowledge, listened to the community and considered all the key aspects that make for a great betting exchange and put together this in-depth review. We’d also love to hear your thoughts of Betdaq, so please leave a comment below. Some of you reading this may be new to the term betting exchange so here’s a short description. A betting exchange is an online marketplace which matches gamblers looking to place opposite bets. These platforms essentially cut out the middle man, otherwise known as the bookmaker. This means they take on no risk like traditional bookmakers do. Along with other benefits which we’ll look at later in the review, this makes betting exchanges a popular betting choice across the UK. Betting exchanges allow for much greater flexibility than a traditional bookmaker which is part of the reason they are so popular in 2019. A betting exchange make money slightly differently to a traditional bookmaker in that they charge a commission on a player’s net winnings. A bookmaker build their margin into the odds. Betting exchanges have had a major impact on the market. They are the single biggest invention to occur in the betting industry in the last 20 years. Matched bettors also have a lot to thank betting exchanges for. They make the whole process a possibility as they provide gamblers the option to either back an outcome or bet against an outcome, also known as lay betting. 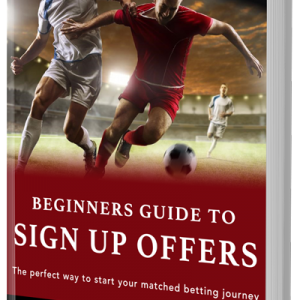 Whether you take part in matched betting or not, picking the betting exchange which best suits your needs is vitally important to betting success in 2019. Betdaq is an online marketplace where punters can either back an outcome or lay an outcome (more on this later). The second largest betting exchange with around 7% market share in the UK, Betdaq were founded in 2000 by Dermot Desmond, a wealthy Irish businessman. The headquarters of the company still today operate from Dublin. Launching just a year later than Betfair and Flutter, another rival at the time, Betdaq found it hard to compete with their older brother, Betfair. Due to their superior financial support, Betdaq launched it’s platform charging 0% commission. This figure would rise 1% a month until it reached 5%. On paper a brilliant idea. However, it didn’t turn out so successful and it was nowhere near as powerful as Betfair’s brilliant campaign. Despite the somewhat failed launch, Betdaq aimed their platform at high-rolling gamblers who would wager £1000s on each bet. The reason behind this was that Desmond already had contact with a number of wealthy gamblers. The plan was to work their way up to 25% market share. So far they’ve managed to win 7% market share. In 2013, Betdaq was acquired by Ladbrokes for €30 million. Ladbrokes later joined forces with Coral and they now form the UK’s largest bookmaker. It will be interesting to see what they do with Betdaq and if they decide to challenge Betfair for a greater market share in the exchange industry. There are many different aspects that make for a great betting exchange. Below is a list of all the criteria we’re going to look at in this Betdaq review. In this section we’ll go through each category and rate Betdaq out of 10. The first category we’ll look at in our Betdaq review is the number and depth of markets available. Do they offer markets on most sports and other events? Markets are one of the most important considerations when picking a betting exchange. They are the heart and soul of any betting company. Everything is built around them. We’re looking for a large range of markets that covers the most popular events thoroughly. The more markets that are available, the more choice you have to place your bets, ultimately making for a better experience and potentially more profit. Due to its age, Betdaq does not disappoint in this regard and you’re unlikely to have a problem finding the market you’re after at Betdaq unless it’s quite specific. However, they’re not quite on par with the market leaders Betfair. When compared to Betfair, the industry leaders, Betdaq are missing a few market categories such as American Football, Athletics and Cycling to name a few. Next up in our Betdaq exchange review, we’re going to look at odds. After markets, odds are arguably the second most important aspect of a great betting exchange. In this category we’re looking for good value odds when compared to other exchanges and bookmakers. Furthermore, betting exchanges should offer better value odds than bookmakers. Due to brilliant technology, odds at different betting exchanges are generally quite similar these days. However, in my experience, odds at the Betdaq exchange can occasionally be a little lower than their competitors. The price is directly related to the popularity of an event and therefore how many people are placing bets. As I mentioned earlier, Betdaq only have a 7% market share meaning they are much smaller than the likes of Betfair. This lower number of users has a knock on effect on the market odds. Another important consideration when looking at the odds a betting exchange offer are the back and lay prices. At Betdaq the back odds are in yellow and the lay odds are shown in green. Ideally these two figures should be close together representing a solid amount of liquidity on each market, more on this later in the review. At Betdaq these two figures can sometimes drift apart, rendering these markets less effective. This is especially the case for matched betting, where bettors are looking for close matches between the back and lay odds. Overall, Betdaq could do better in terms of odds but this comes with added popularity. The third category we’re going to look at in this Betdaq review is the commission rate they charge their customers. As I mentioned earlier in the review, betting exchanges charge a commission instead of building their profit margins into the odds. So in this category we’re looking for a low, stable commission structure which is easy to understand and good value for the bettor. Commission directly affects the amount of profit you make from your bets, so it’s an important aspect of a great betting exchange. Picking an exchange that charge competitive commission rates is a must. Betdaq charge a flat rate of just 2% to all their customers. This is a great structure that Betdaq have recently brought into effect, following the likes of Smarkets in the aim of winning more market share from Betfair. In the early days, Betdaq exchange started out by charging 0% commission to entice new customers and build some hype around the company. This rate rose 1% every month until it reached 5%, where it stopped. Unfortunately, this strategy never really paid off and Betdaq were left behind. This new 2% commission rate beats Betfair and other competitors so it will be interesting to see how it pans out over the next few years. Over a years worth of bets, an experienced bettor would save £100s by using Betdaq over Betfair. Quite a considerable amount when you put it like that. Commission also has a direct impact on the amount of profit a matched bettor makes so a low rate is essential with this betting strategy. In this section of our Betdaq review, we’re going to look at the reliability of the platform. Reliability is a key aspect that makes for a great betting exchange. Bettors want to use trustworthy, reliable platforms that have a great reputation. If you’ve ever had any issues with placing bets at a betting exchange, I’m sure you’ll sympathise. Suddenly finding out one of your bets hasn’t placed is incredibly annoying and can potentially lead to costly losses. In this situation, there’s not much you can do and the betting exchange are unlikely to reimburse you. To avoid this, you need to stick to trustworthy exchanges that have a solid reputation when it comes to reliability. Betdaq are currently the largest betting exchange technology provider in the UK. Therefore their platform is trusted by some of the leading betting companies throughout the UK. If this isn’t good enough proof that Betdaq offer a trustworthy, reliable platform, I don’t know what is. Betdaq invest a huge amount of money into their services each year meaning they’re always at the forefront of technology. Over the years of using many different betting exchanges and placing a lot of bets online, I’ve never had a problem with the Betdaq exchange and the reliability of their services. They offer a highly trusted and ultra reliable platform. This is certainly one of Betdaq’s strengths. Next up in our Betdaq review, we’ll consider the liquidity. This is a key criteria as it has a knock on effect on the odds and other areas of the platform. Liquidity may be a new term for some of you so here’s a quick explanation. Liquidity is the amount of money waiting to be matched for a certain market. As I mentioned above, betting exchanges work by matching punters with opposing views. There needs to be two parties for a bet to take place. Someone looking to back an outcome and someone looking to bet against that same outcome. That’s what we refer to when describing liquidity – essentially the number of people in the queue to place a bet. If there’s no one waiting, then you won’t be able to place a bet. The higher the liquidity, the easier it is to place your bets. The best analogy is to imagine people in a queue at a shop. The more people there are, the better (for the shop). Liquidity is shown underneath the market price. So in the example below there is £2,347 waiting to be matched. This is one of the areas Betdaq have never been able to match their bigger brother, Betfair. Liquidity is directly related to the popularity of the site and specifically the market in question. With fewer customers, you will always struggle to keep the liquidity of a marketplace high. Despite the lower liquidity at Betdaq, you won’t have a problem placing your bets on popular events like top tier football for example. However, if high liquidity is what you’re after you should head straight to Betfair. The next criteria we’ll consider in out Betdaq review is technology. Technology plays a huge part in the quality of a betting exchange and as we’ve already touched on earlier in the review, Betdaq are the largest provider of betting exchange technology. Their tech is obviously at the forefront of the industry and used by many popular companies. Betdaq offer a very reliable platform that you can rely on 24/7. What’s more, they employ the required staff to ensure that any issues with their platform are resolved promptly. All in all, a strong aspect of the Betdaq platform. Next up in our Betdaq review, we’ll look at customer support. In the modern world of online gambling, top quality customer support is an absolute necessity. It’s therefore another important consideration when choosing the best betting exchange. We’re looking for easily accessible support methods, quick response times and quality help. In an ideal world, bettors want any problems with their bets to be solved as quickly as possible. Any unmatched bets at an exchange could lead to costly mistakes which may cut into your overall betting profit. Having been in the industry for a number of years, Betdaq know how and what their customers need help with. They have a dedicated support team and an abundance of articles to help customers. Their staff are helpful and knowledgeable meaning your issues are fixed promptly. From experience, I really can’t fault Betdaq’s support network. In this section of our Betdaq review, we’ll look at bonuses and other promotions. Promotions and bonuses play a huge part in the modern world of gambling and bettors are always on the lookout for rewarding offers. Customers come to expect free bets and promotions on a regular basis. This is therefore an important consideration when it comes to picking a betting exchange. Betdaq currently offer a great promotion for new customers. They offer a huge £1000 cash-back in your first month. Whilst this offer sounds much better than it actually is, Betdaq are essentially giving you a 0% commission rate for the first month. As I mentioned earlier, maximising your profit from betting involves keeping costs down to a minimum. This includes the amount of commission you pay on exchange winnings. That’s what makes this Betdaq offer so enticing. As most betting companies do, Betdaq also offer ongoing promotions known as reload offers. These are offers for existing customers and they allow matched bettors and other gamblers to make an ongoing profit. Matched bettors are specifically after free bets and other promotions and the 0% commission offered by Betdaq is an awesome offer. Whilst not on the level of some of the larger bookmakers, Betdaq still offer some great promotions. Another key aspect of a great betting exchange is how easy the payment transfers are. This applies to both deposits and withdrawals. Bettors have come to expect and require quick and reliable transfers they can trust whether that’s using an eWallet solution like PayPal or simple credit/debit card transfers. There is a 1.5% charge on all deposits made via credit cards whilst debit cards and eWallet deposits such as PayPal have zero fees. Overall, deposits are very easy at Betdaq. In terms of Betdaq withdrawals, you can use the same methods you use to deposit your funds, apart from cheques. Withdrawing to debit and credit cards typically take 25 hours and other methods may take up to 5 working days. However, in my experience it’s never taken that long. As you would expect from an online betting company, Betdaq take their payment security very seriously. They invest a lot of money providing a secure website and banking system. Now we’ve covered all the essential parts of a betting exchange, let’s look at the added features that make for an overall better experience. Betdaq are one of the few betting exchanges that provide a live streaming service. This is a relatively new phenomenon in the betting industry which makes for a more interesting betting experience. Watching a live stream also benefits any matched bettors out there. It makes you seem more like regular punters which is crucial to long term matched betting success. It’s also quite fun watching a horse race you just bet on knowing you’ll make a guaranteed profit no matter what the result is. At Betdaq exchange, you can watch the live feeds without placing a bet on the event which is a nice feature that other exchanges and bookmakers don’t provide. The criteria we looked at above would be pointless if the Betdaq exchange wasn’t easy to use. In the next section of our Betdaq review, we’ll look at what it’s like to use the Betdaq betting exchange on a regular basis. Overall, we’re looking for great user experience. Placing your bets at Betdaq is similar to most other online bookies and exchanges. Simply find the market you’re after, either by searching for the event or navigating through the desired links. Select the odds and enter the desired stake. If you want to enter your own odds you can also do that. However, you’ll need to wait for someone to match your selection. I recommend you don’t use this method as it can lead to unmatched or partially unmatched bets. When you’re placing your lay bets, make sure you check the liability stated in the betting exchange is the same as the matched betting calculator worked out. Another important consideration when using a betting exchange is how well the website functions. In the online world, a simple and intuitive site is a must for betting companies. More similar to Betfair than Smarkets, Betdaq have an original looking website which delivers on functionality over aesthetics. The website is fairly easy to use, with popular links and main sports positioned down the left hand side of the website. The back markets are distinguished by a light orange colour and the lay markets by a light green. These colours are arguably not as strong as the green and blue that Smarkets use but still recognisable nonetheless. This is probably a subjective opinion but I think the Betdaq site is overly complicated and could do with less links and banners on the right hand side. Although that’s me being quite picky. The Betdaq mobile site and mobile application are both very similar in their design and function. So we’ll just focus on the application in this section. The mobile app is very easy to use with all the main options and sports on a slider at the top of the app. The different colours for the back and lay markets stand out more on the mobile app compared to the website. Placing bets on the Betdaq mobile app is easy which makes matched betting on the move more efficient. Overall a very functional and useful mobile app from Betdaq. That’s it for our Betdaq review, let’s summarise. Betdaq provide ultra reliable and widely used software which their betting exchange is built on. The fact that many betting companies rely on their technology should give you a good insight into the quality and performance of their platform. Though Betdaq may struggle with the number of users compared to Betfair, placing your bets at there is still a great option. Whilst Betdaq may not be our preferred betting exchange, they certainly offer a great platform for matched bettors and regular gamblers alike. Overall, they’re definitely worth registering with.